Its use is great, and more than one. Here if you lift your wits to wet, Much sharpness thereby shall you get. Dull wits hereby do greatly mend, Sharp wits are fined to their full end. 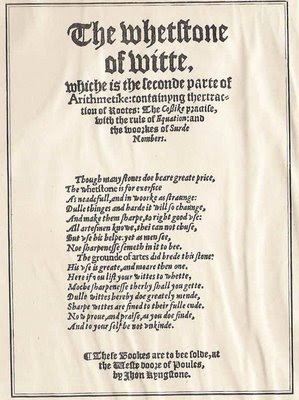 Mathematics, and algebra in particular, according to The Whetstone of Witte is like a knife-sharpener for the brain. Four hundred years later, in his book Mathematician's Delight (1961), W.W. Sawyer takes up a similar metaphor, suggesting that "Mathematics is like a chest of tools: before studying the tools in detail, a good workman should know the object of each, when it is used, how it is used." Whether they describe mathematics as a sharpener or other tool, these mechanical metaphors are commonly used to emphasize the practicality and versatility of mathematics, particularly when employed in engineering or science, and suggest that it should be used thoughtfully, and with precision. An often quoted mechanical metaphor that suggests a more frantic and less precise process of mathematical creation is often attributed to Paul Erdos: "a mathematician is a machine for turning coffee into theorems." When asked to describe mathematics we often resort to metaphor rather than attempt to provide strict definitions. These pictures from high school math textbooks from the 1930s are an example of this tendancy. 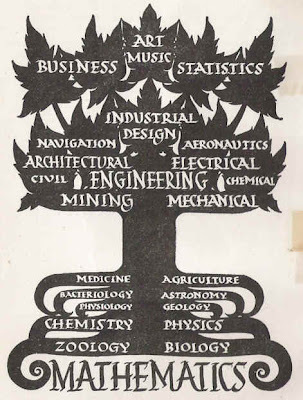 The simple hierarchies of these images resolve the complicated relationship between mathematics and science by appealing to our desire for an organic unity among disciplines, giving mathematics a foundational role within the general concept of science. These images are appealing, but do not stand up to scrutiny. The simple relationship between mathematics and science becomes complicated when mathematics is described, as it sometimes is, as a science itself. It's definition as "the science of space and quantity" is further complicated by the caveat that it is an exact deductive science, unlike the usual inductive kind. Following this line of thinking further, mathematics is then described as a kind of meta-science, or a limit point to which science might aspire - science emptied of all of its empirical content, a science of pure thought. While some view mathematics as a foundation for science, others as a supra-science, the emerging field of experimental mathematics brings mathematics back into the empirical fold, reducing it (or elevating it) to a science like any other. 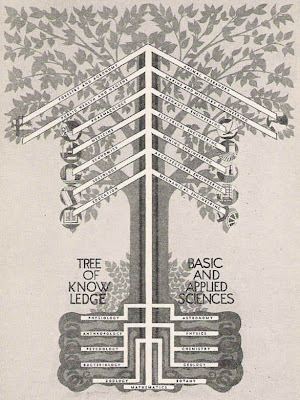 So, mathematics can be seen as root, branch, or even the form of the tree itself. Thinking about these things for even a short while evokes some sympathy with Bertrand Russell's remark that "mathematics may be defined as the subject in which we never know what we are talking about, nor whether what we are saying is true."